In our summer program children become directors, storyboard artists, action designers, performers, innovators and editors. Our goal is to inspire the next generation of Canadian Entrepreneurs. Children learn about action design with hands on experience, Choreographing their own fight and action sequences, in a safe environment. Children will experience ‘flight’ in the world of aerial action design, while jumping and flipping on a wire/ aerial system. The Day 1 Action sequences are polished and children will be ‘suited up’ in motion capture suits, marketed-up, and recorded using the motion capture cameras. 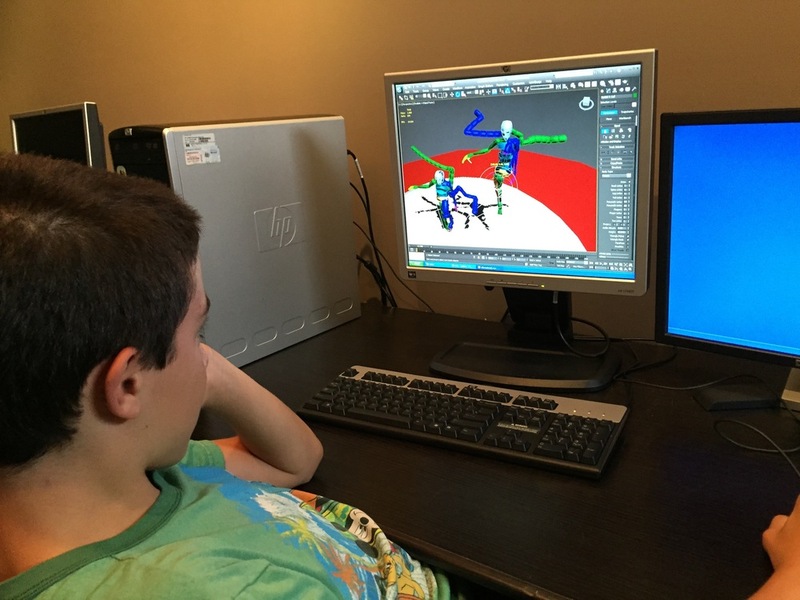 Children learn to plot and map captured data onto a 3D character model while using 3D Animation software. Children will be immersed into a fascinating and fully interactive Virtual Reality experience. Sessions run from 9am to 3pm daily, inquire for early drop-off and late pick-up. The program is available for the ages between 9 to 14 years. For registration information contact us directly. Cash, Cheques or Credit Cards accepted. Please include a 3.5% administration charge when using credit cards.